Android 4.1 Jelly Bean was announced late last month at the Google I/O 2012 keynote to much fanfare. It introduced some long-wanted features like a significantly faster and smoother user interface and a Siri-like* voice assistant, and natural evolutionary features like more powerful notifications, offline voice typing, improved keyboard. Jelly Bean also made plenty of smaller changes to pre-existing features. One such tweak was made in the how the lock screen looks. The new lock screen experience is now available for all to try, thanks to a port by a independent developer. Check it out after the jump. 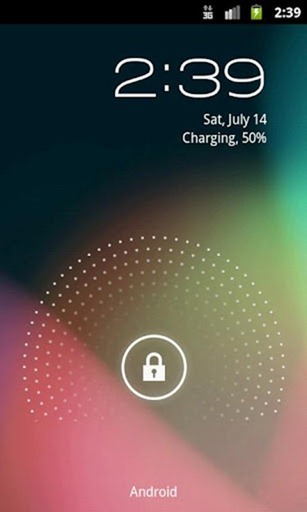 Developed by Mobint Software, Holo Locker is a “simple and fast lock screen replacement”. It looks and works exactly like the Android 4.1 Jelly Bean launcher; you get the same lovely dots that follow your finger and… that’s about it. Holo Locker has limited personalization features at the moment. All you can change from its setting is enable Emergency Unlock to unlock your smartphone by pressing Back + Volume Down, the ability to disable the home button**, and the ability to hide the status bar. The developer states that more customization options will be added in the future. On its own, Holo Locker isn’t much of a, you know, game changer. However, pair this with the same developer’s Holo Launcher [available on Google Play Store] and you get a user experience that is almost indistinguishable from Android Ice Cream Sandwich. Don’t forget to let us know what you think of Holo Locker by leaving a comment over on our Facebook and Google+ page. *According to reviews so far, it’s actually much better than Siri in many areas. **The option is made available because pressing the Home button exists the lock screen and takes you straight to the home screen.